Officials across provinces in China show no leniency or restraint when attacking elderly believers; brutal interrogations, shut down senior homes and denied pensions – anything that works in the war against religious liberty. 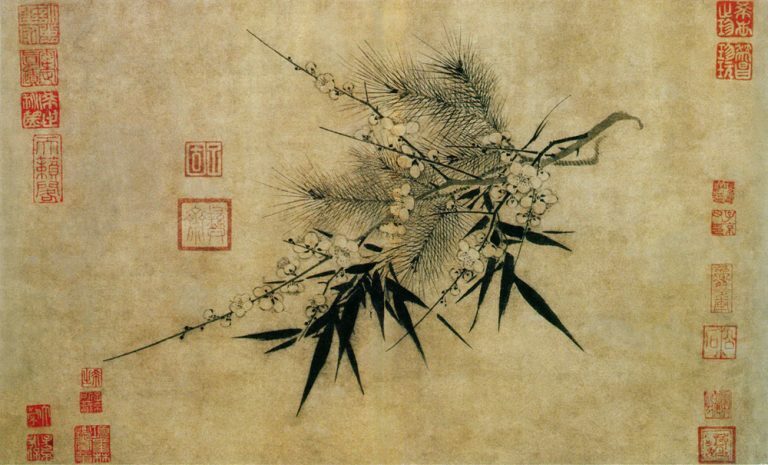 In June, Liu Yuan, a resident of Anhui’s Wuhu city was arrested for his faith. He is in his 60s, but that was of no concern to his interrogating officer who slapped the elderly believer in his face a few times. Mr. Liu not only fainted multiple times but also suffered nosebleeds and lost some of his teeth as a result. 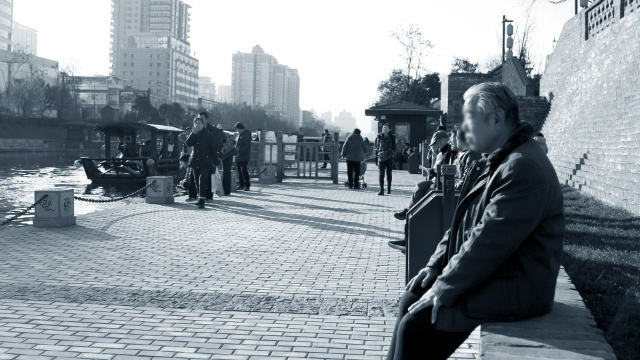 Meanwhile, in Shangluo city of the northwestern Shaanxi Province, Wang Yongfu and his wife were arrested with ten other believers and detained for over 20 days. During the interrogations, the police used leather whips to lash the couple on their waists, buttocks, and legs. Both seniors sustained bone injuries by the end of their detention and would not get better for two months. To crack down on religious belief, authorities also seek out establishments for the elderly that have any form of church affiliation. 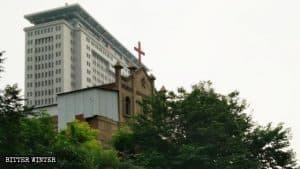 For instance, the Paifangzhuang Church in central Henan’s Xinzheng city runs a nursing home for the elderly, which was recently targeted by the authorities for its link with the church. A local believer revealed to Bitter Winter that, on August 25, fifteen local officials showed up at the church. 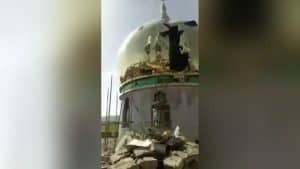 They removed all items related to religious practices, and the furnishings that could not be removed were destroyed. Since then, the elderly believers at the home have not been able to pray. Meanwhile, in Henan’s Mianchi county, believers were harassed in a nursing home in May this year. The authorities seized the Bibles and faith-related objects from the facility. They also demanded the believers to renounce their faith if they wanted to continue living at the home. One of the residents there said, “I don’t have any sons or daughters, and there’s no one to look after me at home.” He also revealed that the authorities had installed surveillance cameras all over the nursing home, making it difficult to practice their faith. As per recent reports, the nursing home Hami city of northern Xinjiang is facing a shutdown. 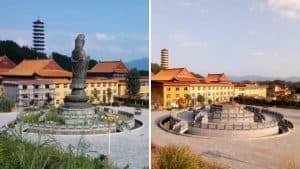 It was set up by the Sandaoling Church, which is part of the government-approved Three-Self Patriotic Movement, and currently has over 70 elderly believers as its residents. 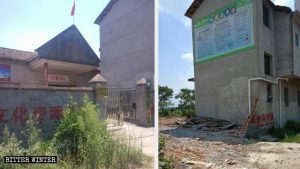 Earlier this year, in May, the elderly nursing home in southern Guangdong’s Luhe county was demolished by over 200 official personnel and shut down eventually. The authorities also track down churches that have special meeting venues for elderly believers to accommodate their limited mobility. In Puyang city’s Hualong district in Henan, a church had been set up for the elderly, but it was closed down in April this year. The officials told believers to walk to the church in another village, knowing well enough that it was difficult for them to do so. These believers end up sitting at home rather than visiting a church, which is what the officials want in the first place. Local sources revealed that ten other meetings places had been shut down similarly in Henan’s Xinmi city alone, leaving 300 seniors without a place to congregate. However, the worst way in which authorities target the elderly believers is by threatening to cut off their living allowances and pension. Liu Yuzhen, 74, is a believer of the government-controlled Three-Self church in Henan’s Gongyi city. She lived alone in a small house and was dependent on government subsidies for her daily expenses. Similarly, in Jiaozuo city, Mr. Zhang’s poverty alleviation subsidy application was rejected in July. The official in-charge told him, “You believe in Jesus, so ask him to provide for you!” Mr. Zhang is a farmer who lives in extreme poverty after floods have destroyed his farmland. He earns his livelihood by harvesting other people’s farm crops. 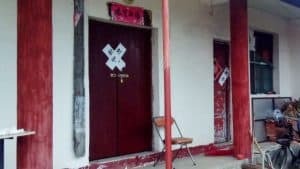 Zhao Lan, also a member of a government-approved church, was deprived of her pension because she had ceramic tiles with the word “Immanuel’ engraved at her home in Luoyang city’s Yiyang county. She also had a religious couplet hung above her door.